You asked for a solution and Intuit® delivers … again! Well, my friends, now I get it – and I ​want to share with you why I am recommending QBO Advanced to the #QBOPowerUser: the fastest growing QuickBooks Online clients who are looking to scale. Many of you may remember back in May 2002 when Intuit first introduced QuickBooks Enterprise Solutions. 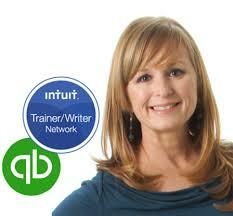 We had asked Intuit for a more robust QuickBooks for our mid-market clients. Intuit heard us and QuickBooks Enterprise was born. Do you also recall that when QuickBooks Enterprise was introduced that usage limits were set on Pro and Premier editions? Remember not really wanting list limits? On top of that, QuickBooks Enterprise was much more expensive than the other versions at almost 10 times the price! Was Intuit forcing our clients to upgrade and pay more? Absolutely not. Usage limits were simply indicators to measure growth and the possible need for a more robust offering such as Enterprise. On the flip side, limits can show us that a client can remain in a lower cost option – saving them money. Now, look at how successful Enterprise has become. Some ProAdvisors have built their entire practice on this software alone. Let’s jump to the present day. ProAdvisors have asked Intuit to develop an “Enterprise” version of QBO. Well … guess what my friends … same story, different product. QBO Advanced is here and usage limits have been set for the other versions of QBO. Now, we can easily determine which QBO plan is best for each and every client. We have options, and as business advisors, this presents us with opportunities, not problems. I was curious about how many existing QBO users were affected by limits. It turns out it is less than 5 percent. I was also concerned that some of my clients might have to upgrade because of mismanaged lists. Well, more good news: list limits are actually tools for us to better advise our clients and determine who needs QBO Advanced and who does not. We still have control over this decision, and we can even help our clients optimize their lists and stay on the product that is right for them. I have another article, “QuickBooks Online Usage Limits: How to Help Clients Clean Up QBO and Stay Under Limits” that offers a step-by-step helpful guide. You can help your clients stay on their current QBO version by following the tips and tricks in this article. By the way, you can also downgrade from QBO Advanced if you get users, Chart of Account accounts and/or classes/locations under the thresholds. Another piece of good news is that if your client is already over the limits, as long as they don’t add another item to any list that is over a limit, they can stay on their current version of QBO without having to upgrade. Now that we know QBO Advanced is for just a select number of #QBOPowerUsers and no one is getting forced to upgrade, let’s talk about why I am so excited. My own practice is 95 percent QBO and we focus on setup, conversion, fixes and training. I love the trust my clients put in me. Perhaps that is why my favorite offering is to coach them in workflows and software decisions. When assessing a client for possible conversion, until now I had to tell them there is good news and bad news. The good news is that they are growing. The bad news is that they have scaled their business to a point where they have to stay in QuickBooks Enterprise. It was usually just a single feature preventing me from converting them to QBO, and what is the most commonly requested feature QBO could not deliver until now? Customized user permissions! ​I can’t begin to count the number of #QBOPowerUsers I could not move from Enterprise to QBO just because they wanted to customize user access. I am now revisiting those clients with the idea of converting them right away. Even better, since QBO Advanced costs less than Enterprise, especially when you factor in the IT savings, by moving these clients I am saving them money, too. You don’t need a server if you are on QBO Advanced. I am also recommending this for QBO Plus clients who want more user controls. The price point for upgrading is well worth the value of adding the users they need with the access they desire. You might be asking why I keep comparing QBO Advanced to QuickBooks Enterprise. Well, it’s because in the desktop world,Enterprise is best for mid-market businesses. For the price point, Enterprise delivers lots of value. ProAdvisors asked Intuit for a similar offering in QBO and they gave us QBO Advanced. Still, you may be saying, “QBO Advanced is no QuickBooks Enterprise!” True, but …. Some of you will remember that when Enterprise was introduced, it definitely was not what we have today. The same is true for QBO Advanced. It is a really good start and there is much more in the pipeline. As always, with our feedback, Intuit products get better and better. So what is it about QuickBooks Online Advanced that makes it the up and coming “Enterprise” of QuickBooks Online? Features! We get lots of great tools. Each QBO Advanced subscription has a free subscription to this amazing reporting app. The app can be connected and accessed by accountant and admin users of QBO Advanced. Deeper insights on cash flow and profitability. Benchmarking multiple companies such as franchisees, for example. Some users of QBO need a faster solution for posting invoices. The average QBO Plus user posts 10 invoices per day. Now, this feature will allow hundreds of invoices to be posted from .CSV data in minutes, saving your high-volume clients time and money. Create hundreds of invoices using .CSV data. It is designed for large volume, multi-sales channels, or a “no app” solution. You can upload up to 1,000 transaction lines per import. Some users of QBO currently spend a lot of time creating the same invoice over and over, and then send that same invoice to each of their clients. With QBO Advanced, you can now create an invoice once, then send it to hundreds of clients all with just a few clicks. This feature will save your gyms, daycares, and similar businesses or clients who invoice their customers on a subscription basis, a lot of time! As mentioned earlier, this feature is one of the most desirable. #QBOPowerUsers need to scale and they need to delegate. User permissions are the key to opening up their business accounting to allow growth. 5 new user roles: sales, expense, sales reports, expense reports and bank deposits. Can mix & match permissions making up to 32 unique options. BONUS: lower cost than Enterprise, $150/mo. Up to 25 users with no “per user” fee like Enterprise. They have an assigned Intuit tech support agent. Their agent knows their name and their business right when the call is picked up. They receive Priority Care, which I consider the “first class” of Intuit care. You get to the front of the line and the agents are the best of the best. Sorry, no champagne before take off! Companies growing quickly and adding users need training. Priority Circle includes five self-paced QBO Advanced training courses that clients can access and use to train their users. Having this library of classes available allows you to focus your training services on custom processes that apply only to your clients, instead of showing them how QBO works in general. In addition, the classes are especially useful for any client that has employee turnover. Enhanced Custom Fields: Growing businesses can use multiple field types, which are translated to reporting throughout the books. Third Accountant User: These businesses will soon be able to add up to three accountant users (other versions of QBO enable only up to two). This exciting new benefit will help you and your team be better positioned to meet the specific needs of your small business clients. Additional Custom User Permissions: Custom user permissions gives growing businesses selective access to work in one or more areas, such as sales transactions, expense transactions, sales reports, expense reports and bank deposits. It also allows these businesses to configure permissions dozens of different ways to manage access to sensitive data. Selected access for sales transactions such as invoices or estimates will also be introduced. Hopefully, I’ve done a little myth busting here and bedazzled you with the potential of QBO Advanced. You might want to play around in QBO Advanced and explore these amazing features. You can do that too! Try setting up users permissions and importing invoices in the test drive. I am so excited about the potential of this new offering and can’t wait to start supporting my high-growth clients with powerful new cloud-based software!